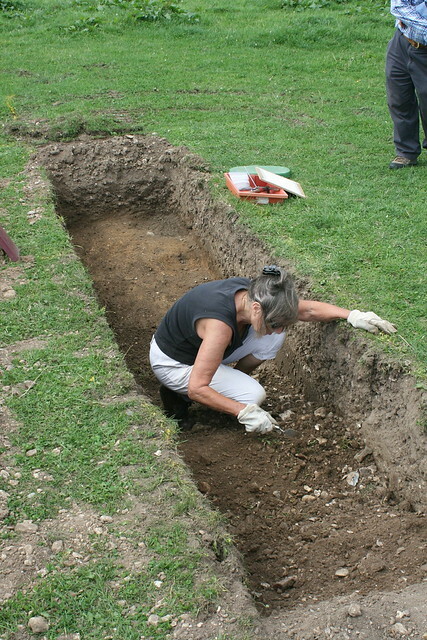 Today (19th August) was the second day of the AVAS excavation, near Fordingbridge. Given the forecast for hot weather, a 9.00am start was arranged. 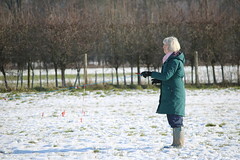 Trenches had been marked out the day before, and were sited to investigate a linear feature of high resistance identified during a previous geophysics survey. 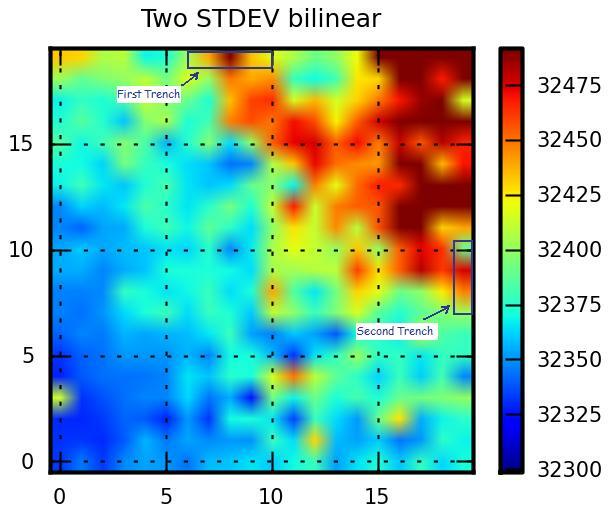 These are marked approximately on the resistivity plot below. 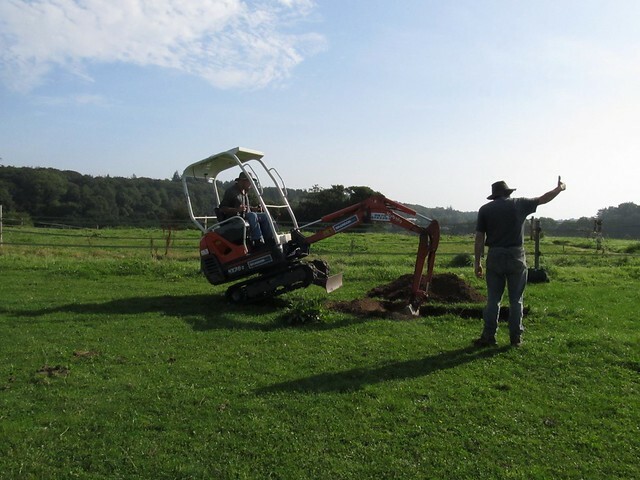 The first trench was expertly opened up by Mark on the digger, given the thumbs up by site supervisor Steve. After some hard work by the team, two edges of a feature were defined, each end being defined by a cut through a lighter coloured clay like material. Finds were few, but a couple of sherds of possibly medieval pottery and a nail came from the top of the ditch fill. 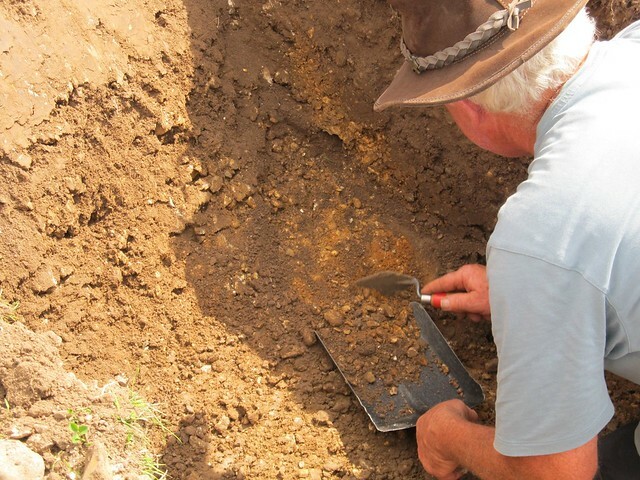 While a group worked in the first trench, Mark started to open up the second. He was getting more practised at controlling the digger, even while talking on his mobile. 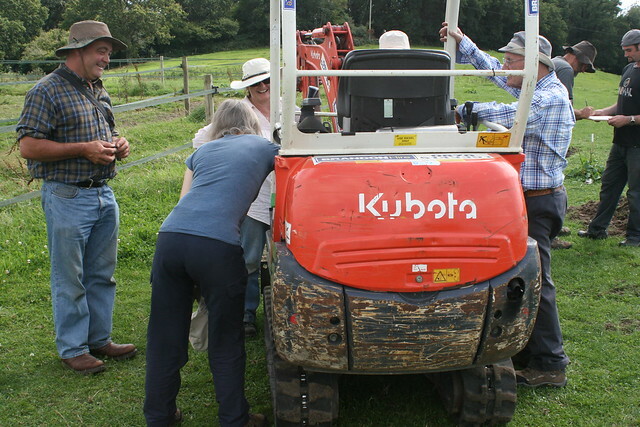 The funniest moment of the day occurred at lunchtime, when Vanessa had to go probing for a pair of Mark’s apples, which had become lodged under the seat of the digger. 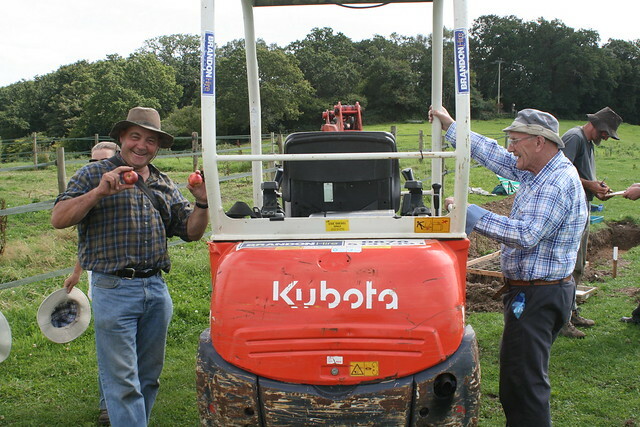 The apples were expertly extricated and re-united with a grateful owner. In the second trench, one side of a feature had been found, demarcated again by a light coloured clay like material. This can be seen beyond Wendy in the photo of the trench below. 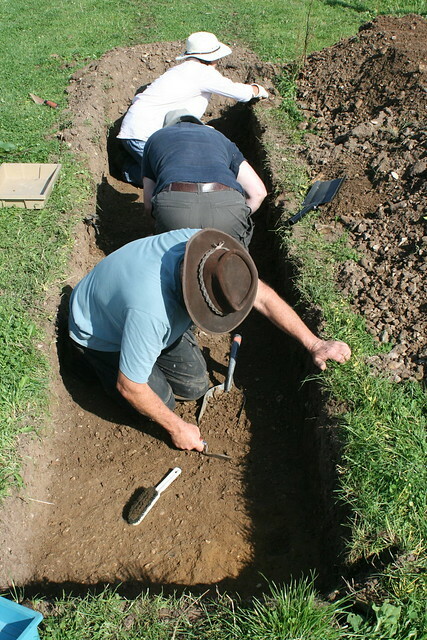 Having found two edges of what appeared to be a ditch in the first trench, it was decided to slightly extend the second trench in the hope of finding the other side of the feature, thereby showing the same ditch was present in both trenches. We were expecting a light coloured clay like material to define that edge, and within a couple of scoops from the digger, we hit similar material, which was very satisfying. This is shown below. 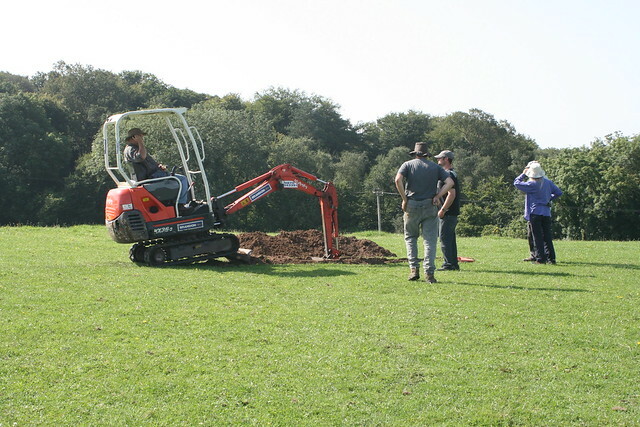 There is still work to write up and interpret what was found, but the excavation has been valuable in allowing us to confirm and interpret the geophysics results. In this particular case, nothing was visible on aerial photographs, and so the resistivity equipment has shown it’s value as a survey method. 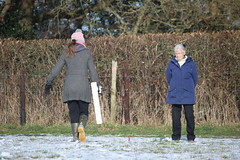 There are lots more photos on the AVAS Flickr photostream. 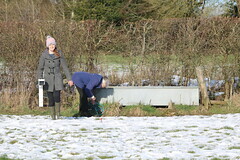 Thanks to Rachel and Vanessa for supplying some of the photos. This entry was posted in Field Work. Bookmark the permalink. Hi Steve – thanks for spotting the deliberate mistake! Mike.